Arlington Considering Allowing Car2Go to Go to D.C. 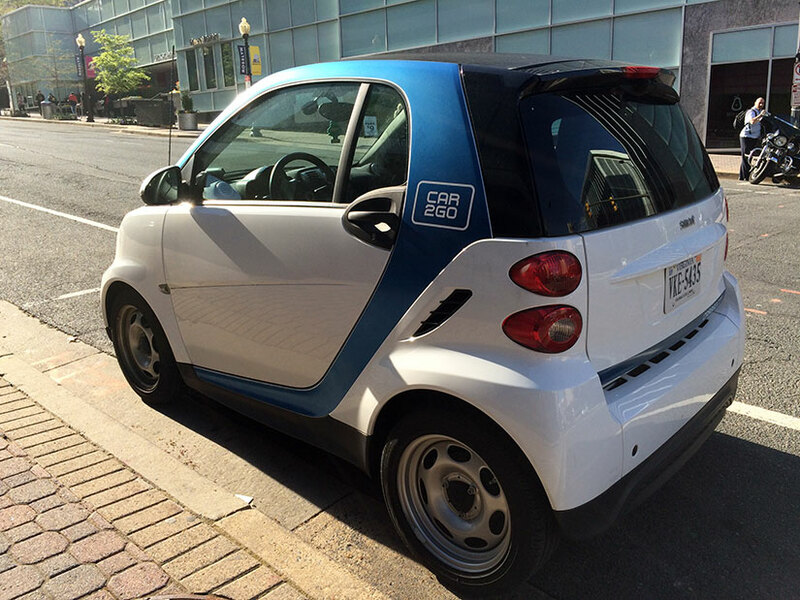 The Arlington County Board this weekend is set to consider a big change to Car2Go car sharing service in the county. Car2Go launched in Arlington this past fall as a pilot program, but it only allows trips that start and end in Arlington. The Board is considering taking a first step to allowing cross-jurisdictional service between D.C. and Arlington. After launching Oct. 22, Car2Go got off to slow start with customers, according to a county staff report. In response, Car2Go reduced its Arlington fleet from 95 cars to only 25 in January. So far, 2,000 Arlington residents have joined as members, taking 6,600 trips, but the fleet reduction has resulted in “less availability overall and reduced usefulness to members,” said county staff. The company has also had to contend with complaints about their cars being parked in one place for too long. In residential permit parking areas, the maximum idle time is 24 hours; it’s 36 hours everywhere else. With only 25 vehicles — up to 200 were authorized by the county — “the pilot does not indicate that an Arlington-only system is viable,” say county staff. Even though county staff says their D.C. counterparts support cross-jurisdictional service, approval by the County Board this weekend would not result in an immediate service change, Car2Go said.